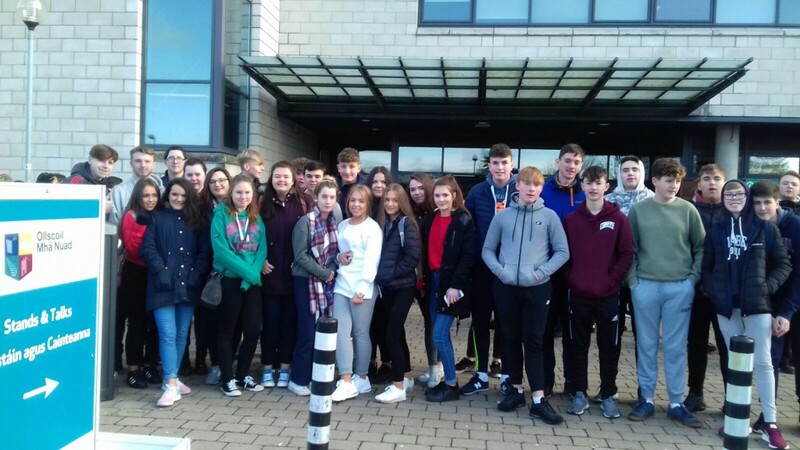 A fantastic day was had by all today at National University of Ireland, Maynooth. Students got to experience college life by attending lectures and talks on all undergraduate courses at the above University. Talks ranged from the social sciences to Accounting and Finance to Computer Science. NUI Maynooth offer 33 subjects on their Arts programme MH101. The talk on Psychology and Psychological Studies drew a huge crowd. Maynooth Access office supplied us with a free lunch in the Phoenix restaurant. They also gave us a presentation on an access route that may result in us getting offered a college place on reduced points along with extra college supports. Maynooth University is like a little village. They were new buildings everywhere including a new on campus accommodation. We discovered that Maynooth offer a wide range of sports and have many different societies and offer a large number of scholarships.